Here is some really fantastic news. 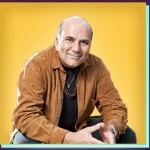 Joe Vitale has just launched a brilliant event, called the free 7-day Awakened Millionaire Challenge. In fact, he is calling this the biggest thing he’s ever done (and let’s face it, he has done some huge things in the past). On-line (so you can do it when YOU’VE got time). Delivered by Joe Vitale himself. If you have done any research into manifestation, the law of attraction, or seen the movie “The Secret”, then you would have heard about this guy. Put simply, he is one of the foremost teachers of the law of attraction in the world. We already own (and have reviewed) some of his many products including the original Wealth Trigger & Wealth Trigger 2.0. 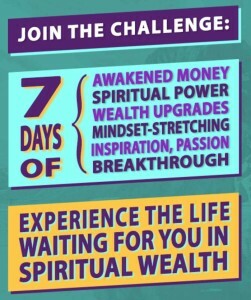 However, this new 7-day Awakened Millionaire Challenge is different. So put your wallet away because this event is totally free. It’s an online event that you can access from your computer or mobile device. What if I’m not able to attend? The training will be delivered each day from 3rd by email with a link to the video/audio/text (we’ve just got our first one). Then the next day’s training / challenge is emailed to you 24-hours later. If you miss a couple of days, the training will still be available for the whole duration of the event (unlike other events where the information is taken down after 24 hours). So what is the 7-day Awakened Millionaire Challenge all about? Many people start off in life with the same opportunities. However, some end up very rich, but others end up struggling through life. We all want money and it is possible for us all to have it. And when you combine money with one other ‘secret ingredient’, you will make MORE money. And it really is as simple as shifting your mindset, or opening your eyes to see what is possible. Put simply. What’s going on inside of you determines what you will experience on the outside. That much is widely accepted now – in fact it’s obvious. Joe Vitale recognized this many years ago, and embarked on a life of turning this issue on its head (and if you know Joe’s history you’ll know that at one point in his life he really did struggle). Now, he has built a lot of evidence to suggest that you can experience a whole new side of life, through changing your mindset. And he does this in ways not taught by anyone else. Did you know that a lot of wealthy people are NOT actually that happy? And what is money without your passions, your spirit, your mission, your meaning, and your inspiration? BUT, if you are thinking like that, then THAT is exactly where you are going wrong. On one of the days during this Awakened Millionaire Challenge Joe Vitale is releasing a video where he talks about the “8 laws of Awakened Money” (That’s coming on Monday 4th) – it is worth signing up for just that video alone. Today’s video (Day 1) is 8 minutes 29 seconds long, but we’re not going to spoil it for you, by giving away the content. However, what he said today in his introduction makes a lot of sense and you will have a “a-ha” moment. We are REALLY looking forward to the 2nd video tomorrow. Nothing, it’s a totally free event. Joe is giving back to the community. Take advantage of his generosity. Where do I sign up for this?